Norway finally struck gold at the Olympics in London on Wednesday, when one of the country’s veteran kayak paddlers beat out his much younger competition. Eirik Verås Larsen’s Danish rival claimed they were knocked out “by an old crow,” while others were more gracious. 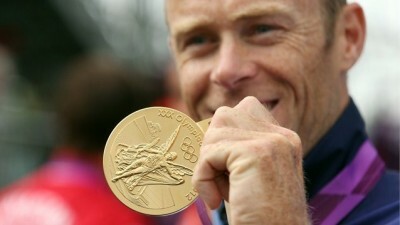 Larsen, age 36 from Flekkefjord, capped off his Olympic career by winning the 1,000-meter Men’s Kayak Single. He had already said the Olympics in 2012 would be his last and had trained vigorously for the past two years, in the hopes of going out in a blaze of glory. Wednesday’s sprint to the finish line proved his effort had paid off. Norwegian sports fans could only agree, as Larsen claimed Norway’s first gold medal in what mostly have been disappointing Games this year. Prime Minister Jens Stoltenberg was quick to send congratulations “for our first OL gold in London,” calling Larsen’s performance “a beautiful presentation by a great athlete over many years.” Larsen won a gold medal at the 2004 Olympics in Athens and two other medals in Beijing in 2008. It was Larsen’s wife Mira Verås Larsen, an Olympic paddler herself, who had won the honour of carrying Norway’s flag into the Olympic stadium at the opening ceremonies, so the family had lots to celebrate. Far from feeling overshadowed once again by her medal-winning husband, she claimed she knew he would win gold when the race was only half-completed. “I saw that he had a very good start, he was out front from the first stroke,” Verås Larsen told NRK. She knew he was in such good shape that he’d finish ahead of race favourite Adam van Koeverden of Canada. Larsen had tried to keep his “super” physical form a secret from his rivals. He had paddled a test run so fast, nearly two full seconds quicker than what won him the gold, that he didn’t want anyone to know. “But there is, of course, a difference between practice sessions and competition,” he told NRK. The two Larsens and their family celebrated with salmon and champagne after hearing the Norwegian national anthem played for the first time since the Olympics began. “There are a lot of people I want to thank,” Larsen said, adding there was one person he wanted to single out: His wife Mira. “Without her it wouldn’t have been possible to devote so much to this over the past two years,” he said. Now she wants him to be her coach, as she sets her own sights on the next Olympics in 2016. The mayor of the new gold medal winner’s hometown on Norway’s southern coast raised the town’s flag and ordered cake for all residents. “It’s a very big day for us,” she said.